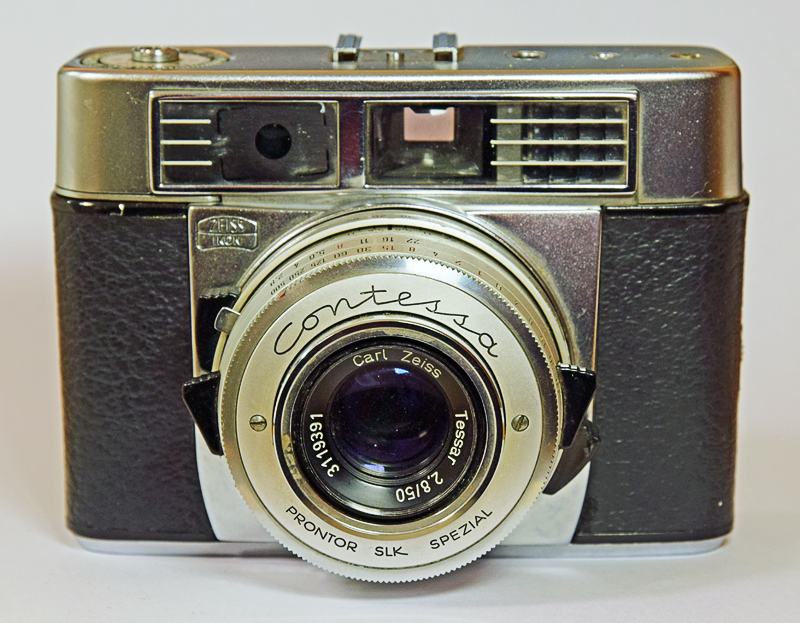 If you intend collecting vintage Zeiss Ikon cameras you have a wide field, as the compny made many fine (and some not so fine) cameras over many years. This company has a long, complex, and ultimately sad history. The parent company, Carl Zeiss Jena, was formed in 1846, with Zeiss Ikon being formed in 1926 in Dresden by the merger of several other camera makers (Nettel etc.). Famous for producing the Contax, the best pre-war 35mm camera, the company (and indeed the whole of the once-mighty Zeiss empire) suffered greatly during and after WW2. Later on, Voigtlander was taken over, but camera production ceases in Germany in 1972, after steadily decreasing standards (at a time when Japanese cameras were going the other way). 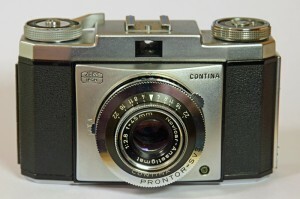 The Zeiss brands and production passed to Japan – Cosina and Yashica for example. A fine, if simple, camera. The shutter and aperture controls are locked together once an EV number is set, so once set you can change settings without upsetting the exposure (provided the sunlight doesn’t change!). shutters – Prontor, Velio etc. – my version”s got the cheapest Vario option. 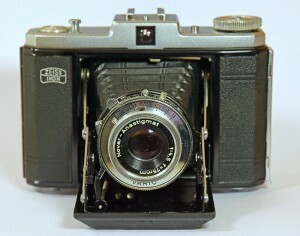 This particular camera is one of the early ones, with the ”red flag” visible in the viewfinder. 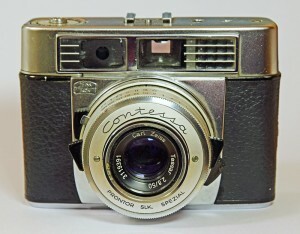 A very nice camera to use – once I”d remembered how to load 120 roll film! 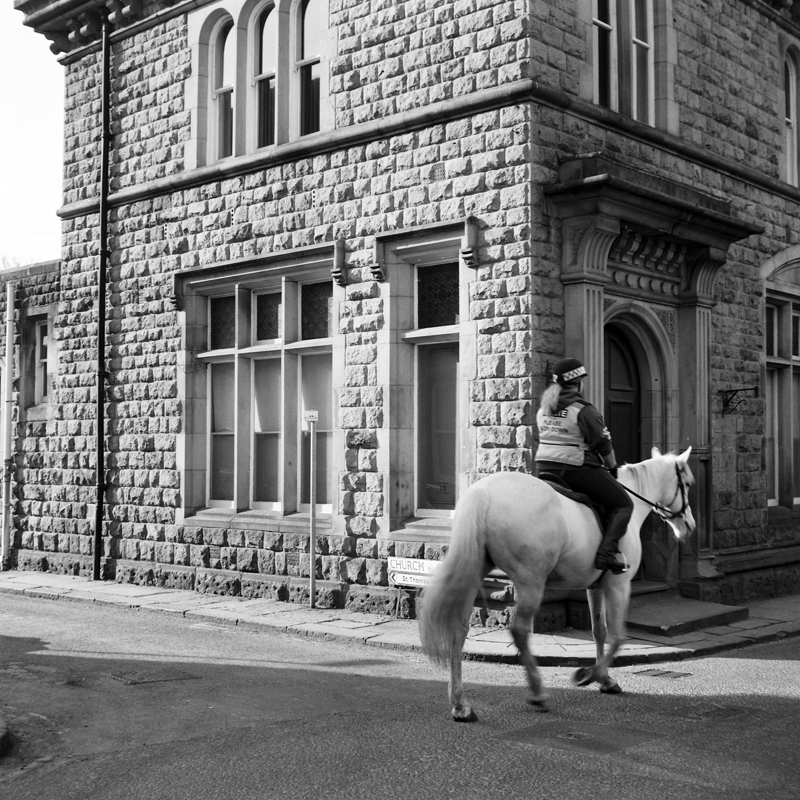 This really is photography at its most basic – with just two usable (hand-held) shutter speeds, hand-cocked shutter, no rangefinder, no exposure meter, and a maximum aperture of f4.5 you are really stepping back in time – which is how I like it.